Lawyers from a premier law firm acting for Indigenous people across Canada recently penned an opinion piece for the Globe and Mail on what "consent" means to major projects in Canada. Ottawa recently dropped its rejection to an important UN resolution on Indigenous consent – the UN Declaration on the Rights of Indigenous Peoples. For project proponents, it is important to understand what this means, and this Globe opinion piece is a must read. As the article notes, there “have been some instances of consent on projects in Canada. These have occurred when businesses have been willing to openly negotiate the terms of their projects with local Indigenous communities, provide them with the time and support they need to assess their interest, share in the benefits of those projects, and agree to walk away or otherwise modify projects to the extent impacts are eliminated if the communities are not interested.” But this is not, yet, the typical case. The authors note that “consultation is usually treated as an administrative hurdle rather than a shared decision-making process. It is often unfunded, or only funded by a company applying for a permit from the government to build a project, making Indigenous people's ability to exercise their constitutional rights partly dependent on the goodwill of the company involved. In addition, timelines are usually short, and independent technical experts are rarely provided.” We put some thoughts together on this a year ago in a popular post titled "UNDRIP and FPIC, ASAP: Seven Steps to Implementation". More people are taking those steps on this important path, but there is still a long way to go. Our firm, Shared Value Solutions, provides independent technical and regulatory expertise to Indigenous communities, and support for legally defensible Indigenous knowledge, traditional ecological knowledge, and traditional land use studies. We’re a rare breed of technical and regulatory experts. Our work centres on three words: Prosperity, Stewardship and Jurisdiction. 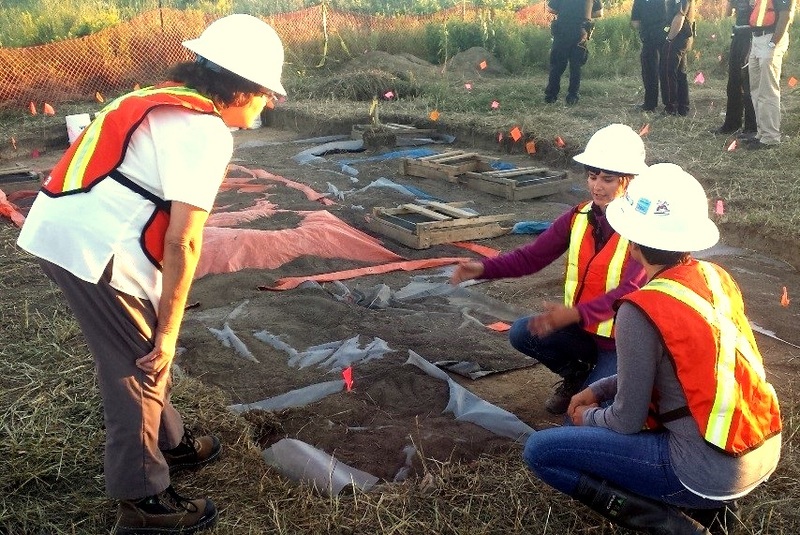 Mississaugas of the New Credit First Nation community member Carolyn King (left) monitoring an archaeological assessment in the Greater Toronto Area with Shared Value Solutions Archaeologist, Trieneke Gastmeier (right, facing camera) - from our article on "Archaeology and Indigenous Rights and Interests"
We are witnessing new relationships forming between Indigenous nations, industry and government in Canada, unlocking the doors to prosperity on all levels. In the current regulatory environment, with growing understanding of the power of real free, prior and informed consent, possibilities are emerging for Indigenous communities to be at the heart of resource development decisions. Some industry leaders and investors are supporting environmental excellence, and seeing Indigenous joint ventures and equity partnerships as the right way forward. Indigenous leaders get this, and see the potential to change the story for people now, and for the seven generations to come. We are seeing more “enlightened proponents” emerging – those who understand that consent is a powerful tool to remove development risk to proposed projects, often through meaningful collaborations or creative joint ventures with Indigenous communities. It helps that government regulators are increasingly supportive of “enlightened proponents”, and reluctant to advance projects that fail to “uphold the honour of the Crown” when firms are delegated procedural aspects of consultation. As we say, “shift happens”. Shared Value Solutions (SVS) has an unshakable commitment to a land where all peoples can reach their full potential, share prosperity, and uphold their rights. We believe all of this begins and ends with healthy lands and waters. SVS is a small, rapidly growing 20-person environmental and community development consulting firm located in Guelph, Ontario, Canada, that works primarily for and with Indigenous clients. 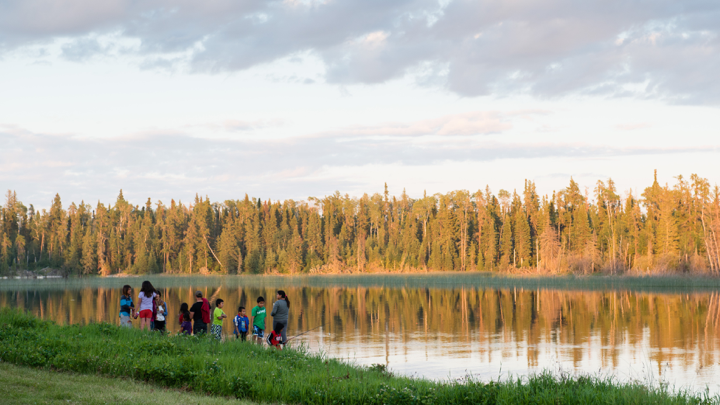 We conduct land-use planning and environmental management planning, and support Indigenous communities with technical and regulatory reviews of major projects. We also advise communities and their legal counsel on the development of land laws, policies and other tools and assist communities with organizational readiness for administering land management. We assist Indigenous and non-Indigenous communities and private sector companies in coming together to create shared value for all parties involved.